Fotostars is a free online photo editor that combines the most essential and convenient photo-editing functions. Fotostars comes with slick, professional filters, easy-to-use retouching for flawless selfies, color and sharpness correction, clipping, and detail processing. 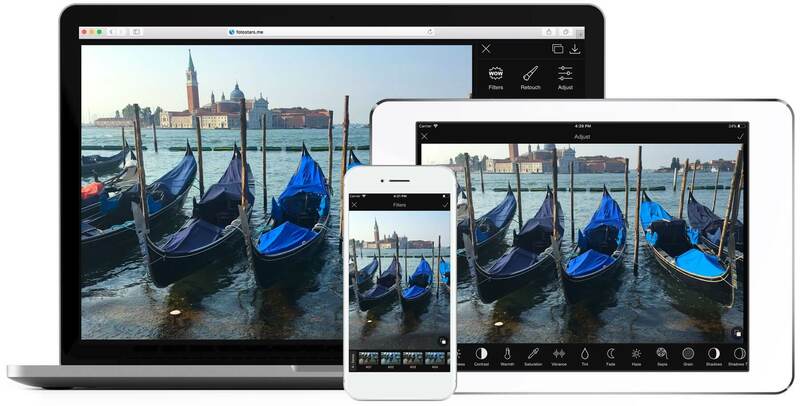 Fotostars is an instant photoshop where you can touch up and post your most vivid moments! Photo effects The Fotostars online photo editor includes over 50 professional photo effects and filters. Text Quickly and easily add text to photos and choose the styles you like. Frames The Fotostars online photo editor contains over 30 elegant frames that can transform your photo into a masterpiece. Retouching Get rid of skin imperfections, make your gaze more expressive, and give yourself a brilliantly white smile using simple tools. Details Using the Fotostars online photo editor you can easily focus on the most important details. Tools The entire tool set is always at your fingertips, including leveling, reflection, rotation, resizing, etc. Security The Fotostars photo editor guarantees the complete privacy of all processed images. © 2012-2018 Fotostars.me. All rights reserved.